14K Solid Two-Tone Gold Hammered Wedding Band Ring. High quality hammered band with rope design edges. Center is finely brushed with high polished edges. Ring measures 8mm wide and 2mm thick. Also available in reversed colors, 18K gold or any metal or color combinations shown below. 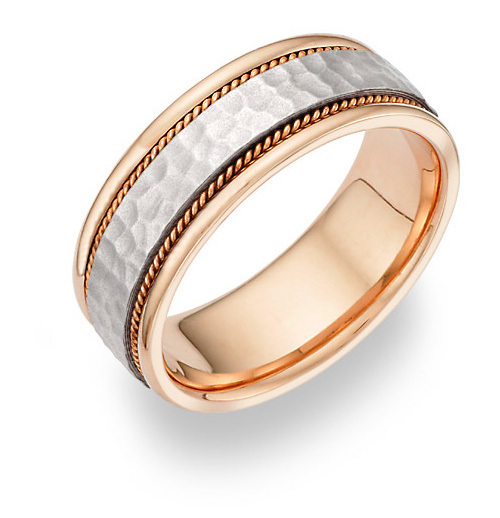 We guarantee our Two-Tone Hammered Wedding Band Ring - 14K Gold to be high quality, authentic jewelry, as described above.